Up until about 2 months ago I had never really appreciated the taste of beer. Thinking it was time to get better acquainted with what looked like the best way to beat the hot summer, I decided to try out various different kinds of beer. Starting with those sold in the convenience store and quite a bit of drinking alone, I soon decided to venture out to some bars for a more international and festive beer drinking experience. 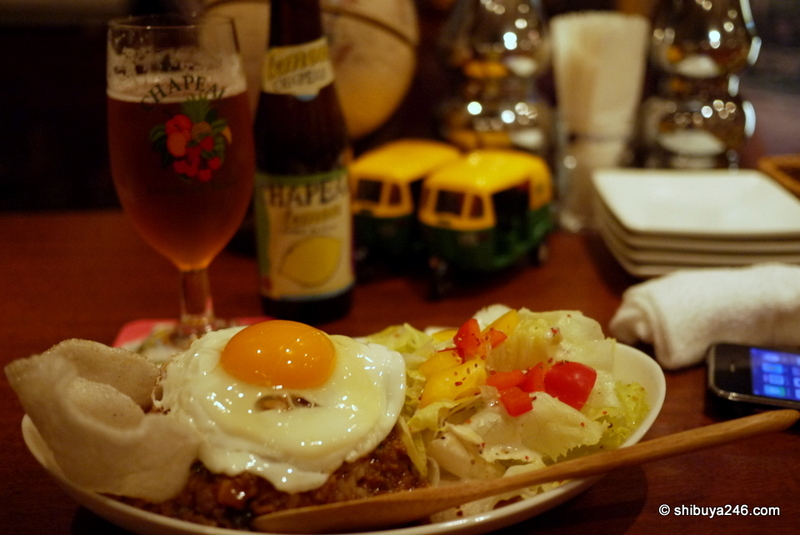 A friend recommended that I visit this bar called Cataratas in Sakuragaoka-cho, Shibuya. The owners are very friendly people and have visited many overseas countries in their research of beer. An evening spent in their bar leads to conversations about their trips overseas and a look at their many photos. Thanks for the recommendation. Keep them coming! The atmosphere is super friendly. It is perfect to go down with friends or just by yourself. The staff are keen to talk about overseas travel. Cataratas has beers from all over the world. Each beer has its own special glass it is served in. If you ask the owners about the reason for stocking each beer they will tell you about where they first tasted it overseas and why it is special to them. This is more than just about drinking the beer, but also about enjoying a good story behind the brew. This is a slightly difficult location to find, but well worth the effort. The bar is small but very cheerful. I recommend getting there early so not to be disappointed. For location details see the map below or take a look at the Cataratas web page. Anyone know any other good bars in this area?